He pondered what to do. He couldn't run forever. 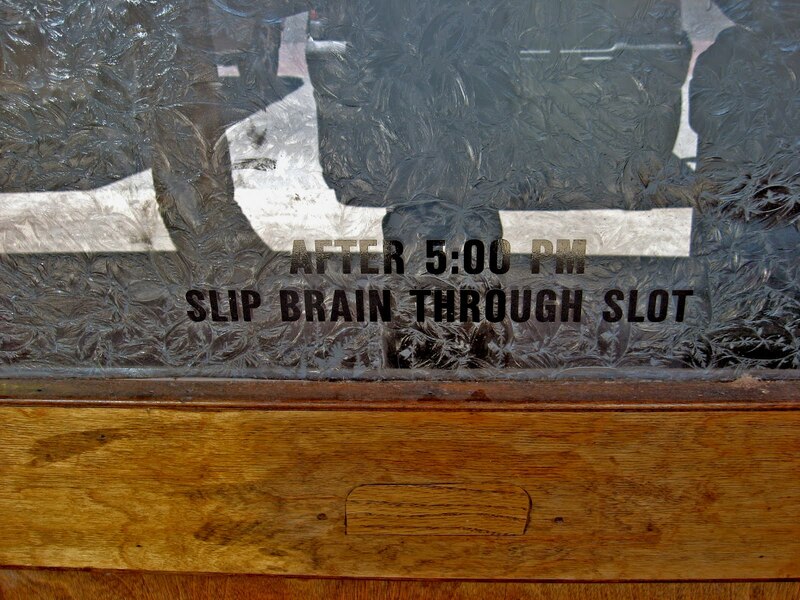 With a sigh, he slipped his brain through the after-hours slot. Had he remained capable of thinking, he would have marveled at how civilized the zombies had become. Had he retained a memory, he might have missed his brain. Now he was just like everyone else. Don't you just hate a BORING Zombie? I know I do!!!!! And here I thought that was the kind of activity that kept body and soul together. Brilliant! This a is great 55! That was brilliant. And knowing you, it is exactly 55 words. So that would make this 2,055? Just having fun. Enjoy the run today Ann. Have you a blessed weekend!